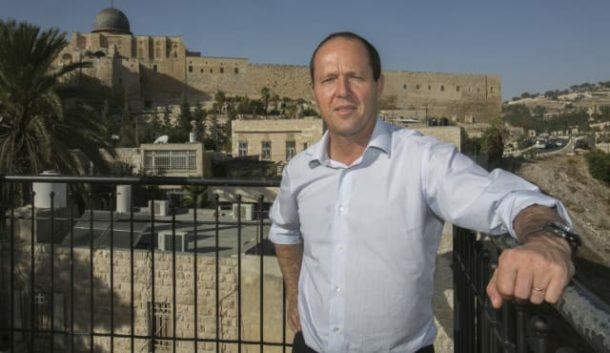 A few weeks ago, I had the opportunity to hear then-Jerusalem Mayor Nir Barkat speak. He talked about the many reasons that Israel is a thriving nation and he talked about how safe it is here. I know for most people around the world with a TV set, they think that we are a nation of Middle Eastern cowboys, shooting terrorists in the streets. But the truth is, Israel is safer than every major US city—by a large margin. According to CBS News, St. Louis had a murder rate of 64.9 per 100,000, whereas that rate here in Jerusalem is less than 2 per 100,000. Israel is safe! One of the reasons that we have such a low murder rate is because Israelis are trained to run towards the threat, not away from it. I was reminded of this when reading a news story this morning of a mass shooting in the U.S. Everyone was praising—and rightly so—a man who rushed the shooter. But for the average Israeli, this is not heroic. This is normal. Listen to Mayor Barkat. And he should know! In 2015, the former IDF paratrooper who holds the rank of major, tackled a terrorist after he had just stabbed a religious man in Jerusalem. The man was wildly swinging a knife, when Mayor Barkat left his security detail and pursued the would-be killer. When one of the bodyguards pulled out a gun, the attacker dropped his knife and the mayor dropped him. Moments later, after the Palestinian knifeman was subdued, Mayor Barkat was seen comforting the man who had been lightly stabbed in his abdomen. This is second nature for Israelis. In every other country, civilians are told to run from terrorists and wait for the police. But in Israel, where most of our citizens have been through the army, we are taught to stop the terrorist as soon as possible—at all costs. This concept has saved countless lives over the years. Yes, in some cases, the Israeli protector is wounded or killed, but in an overwhelming majority of cases, it is the terrorist who is quickly neutralized. To repeat Mayor Barkat, in Jerusalem the average terror attack only lasts 60 seconds… and that is only because of our policy of engagement. In 2008, Captain David Shapira was bathing his children when he heard gunshots. He didn’t think twice before grabbing his pistol and heading for the Yeshiva (school of religious students) from where the shots were coming. Because he had graduated from that very Yeshiva, he knew the layout. When he arrived, two police officers tried to keep him from entering, because they did not know from where the terrorist was firing. Shapira entered anyway. He quickly identified the source of the shooting and opened fire, killing the terrorist and saving lives. In the same year, an East Jerusalem Arab construction worker turned his bulldozer into a weapon of terror. He went on rampage, turning over a bus and ramming several cars. He was shouting “Allah hu Akbar” – God is Great – as he wreaked havoc in Jerusalem. When the bulldozer stopped for the first time, three Israelis jumped on board.One was an armed civilian, Oron Ben Shimon, and began to struggle with the attacker, trying to get his foot off of the accelerator. He shouted to one of the others, 20-year-old Moshe Plesser, a new IDF recruit, to shoot the terrorist. He grabbed Oron’s gun and neutralized the terrorist, saving God knows how many lives. The entire episode lasted just a few minutes, but without the Israeli civilian effort, it could have gone on much longer and many more could have died. Those are just three examples of the Israeli mentality when it comes to stopping terrorists. It goes against human nature and every instinct to survive. But it is drilled into the Israeli psyche. So for many, it is second nature. I love living in a country where I know my fellow Israeli has my back.